One of my most requested articles is a return of my quick guide series named Spellsy's Support Cards. This is a return of the series but instead of using my previous expertise I will be using statistics from high level games (Platinum-Diamond) across all regions (NA, EUW, EUNE, and KR) to find the optimal builds, good counterpicks and common runes. For our first edition of the cards we selected the three most popular AD Carries on the new patch (5.2). This data is mostly from February 1st. While starting with your first 3 points as Q-E-Q is the most popular, almost 40% of players go Q-E-W, which has 1.5% less win rate than Q-E-Q. So, make sure to put that second point in Q! IE->PD->BT is the highest win rate build, which is the same for each of the 3 selected champions. Bloodthirster always has a higher win rate than Last Whisperer. The standard runepage listed above is actually 2nd in popularity among Caitlyn players, with the most popular using Attack Damage quints instead of Attack Speed quints. However, this AD page has 3% less win rate than the Attack Speed page shown above, so make sure you use your attack speed quints! 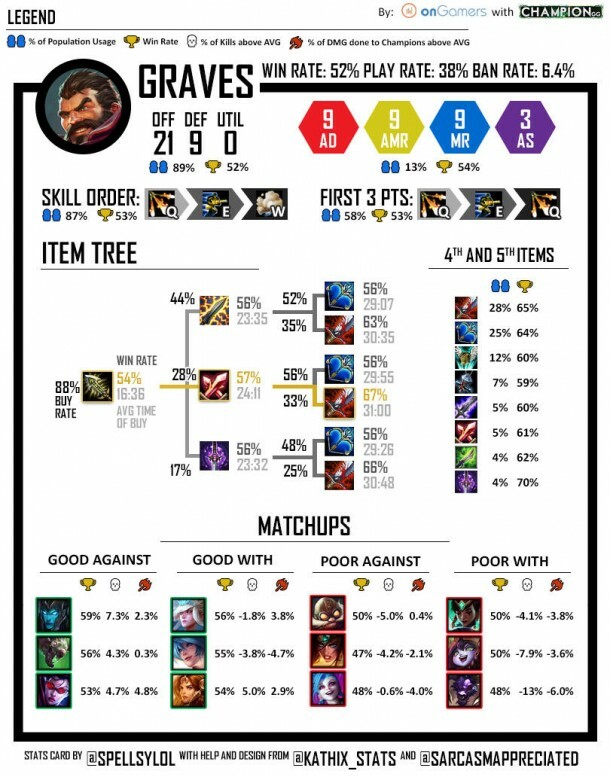 Similar to Graves, Caitlyn's most popular first 3 skills are actually Q-E-W, with 37.3% of the population choosing that route. 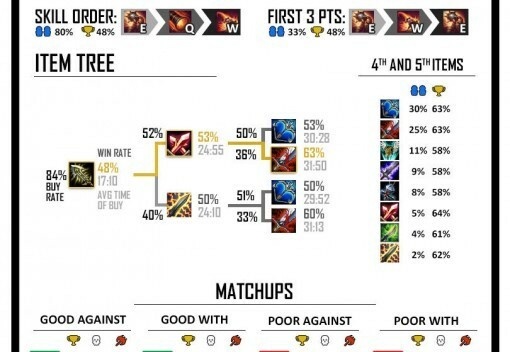 However, that build only has a 50.5% win rate, significantly lower than Q-E-Q's 52.1% win rate! After the Tristana update her play rate over doubled from 11.14% in 5.1 to 23.09% in 5.2. 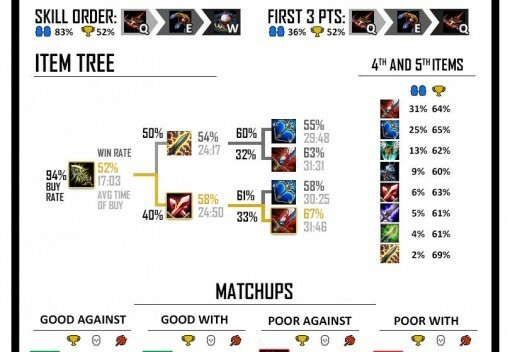 Similar to Cait and Graves, Tristana's most popular first-3 skills were E-W-Q, which was played 36% of the time but only had a 45.2% win rate, compared to E-W-E which was played 33.3% of the time and had 47.9% win rate.